Your birthday, one of the most memorable days in your life. For 24 hours you’re the center of your loved one’s attention, you’re showered with gifts and of course there’s the birthday party. As long as you have your friends and family around any party will be an enjoyable affair. With this article though, I’m going to advocate you throw a picnic birthday party. A picnic party has everything you need. Food and drink, beautiful surroundings, can be enjoyed by all age groups and held at any time of the day. 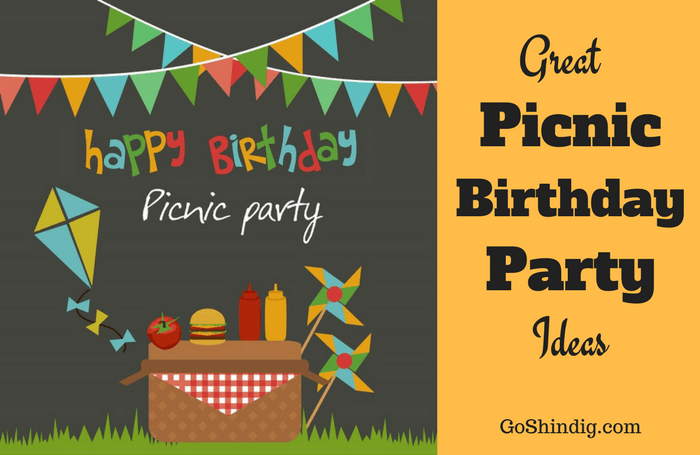 Read on for all my tips to hosting the perfect picnic birthday party. Get a list together of all the people you wish to invite. Getting a rough estimate of the number of people attending is essential to the rest of the planning of your birthday picnic party. Once you have your list then the next obvious step it to let your guests know. The most traditional way is to send out invitations but there are many other novelty ways to invite guests as you can see in our picnic invitations article. The choice for party decorations is massive, you have whole sites such as Party City and Birthday in a Box dedicated to just that subject. The choice you make will obviously have to match any theme (fancy dress or color scheme) that you have decided upon. 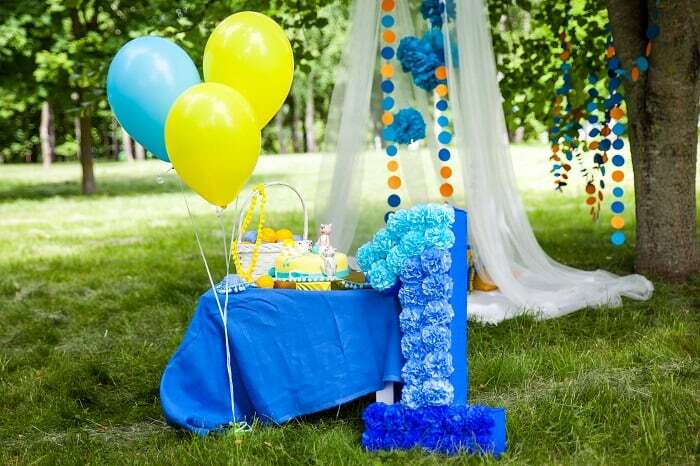 But here is a list of the classic decorations you’d expect at any birthday party. There are many games you can play at a picnic, and we’ve even done a whole article on picnic games. But this is a birthday party so the games have to fit that theme. You may like to include some of the games we have already talked about but here we will just offer up games that are birthday games. Pass the Parcel – A birthday party classic. Pass the parcel is easy to set up at a picnic, especially now everyone has a smartphone that can play music. All you need to do is wrap a gift with several layers of obviously different wrapping paper and you’re ready to go. Musical Chairs – Another party game I remember as a kid, but beware, musical chairs can get a little bit competitive. The problem with musical chairs at a picnic is having enough chairs. However, you can make slight twists to the game to make it more picnic friendly. You can change the rules to the last person to sit on the floor is out, which means you no longer need seats and the aggression to move someone out the way is gone. You can’t have a birthday and not have a cake. Unfortunately, this is a little trickier than normal at a picnic. You’ll not be able to have a multi-tiered cake and any large cake will present a problem whilst transporting. But you 100% need to bring some form of cake. Cupcakes are an amazing idea for most picnics. The great thing about cupcakes is they are already in individually sized portions so are easy to hand out when it’s time to sing the happy birthday song. The only issue is if you want to add candles to the cake. If this is the case you’ll have to add one or two candles to each cake. Another wonderful idea for picnic birthday cakes is to do mason jar cakes. We have already done a whole article on mason jars, so in order not to reinvent the wheel, head over to our mason jar ideas page for a read. Mason jar cakes are the best type for transportation; you can also make them in a variety of sizes. But again, you’ll struggle with adding candles. As a youngster, birthday favors use to be a little goody bag of sweets, stickers and maybe a coloring book. Recently at picnic wedding parties I’ve been given a bottle opener, a wine stopper and a tea infuser. 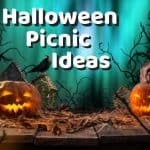 These are all great party favors and a gift is nice to receive regardless of what it is, but as it’s a picnic party you might want to consider picnic themed favors. Picnic Blankets – You’ll likely need several blankets for your guests, so you can double this up as a party favor and hand out blankets as gifts as people arrive. Blankets aren’t overly expensive anymore – you’re able to get good ones in the 10-15 dollar bracket, which is probably more expensive than the average party favor. But as I said already, it’s something you’ll likely have to buy anyway and you’ll not need several blankets after the picnic. Fans – If it’s a hot day your guest will more than appreciate the gift of a fan. There are many types you can choose from, my favorite for a picnic would be a necklace fan, as these free up your hands to enjoy the food and drink on offer. But the standard hand fans, either electric or paper folding, will be just as well received.